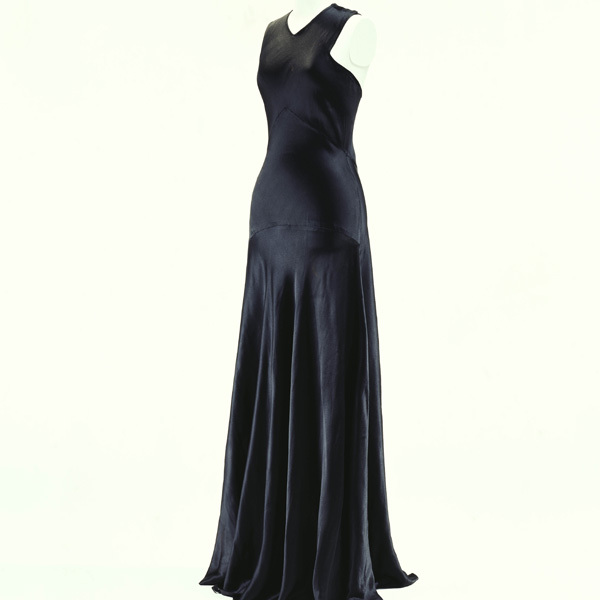 Black silk crepe; printed, pleated; with matching belt. 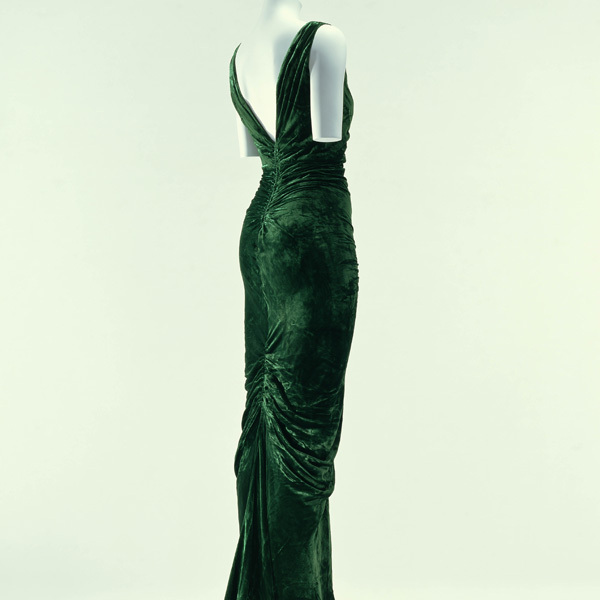 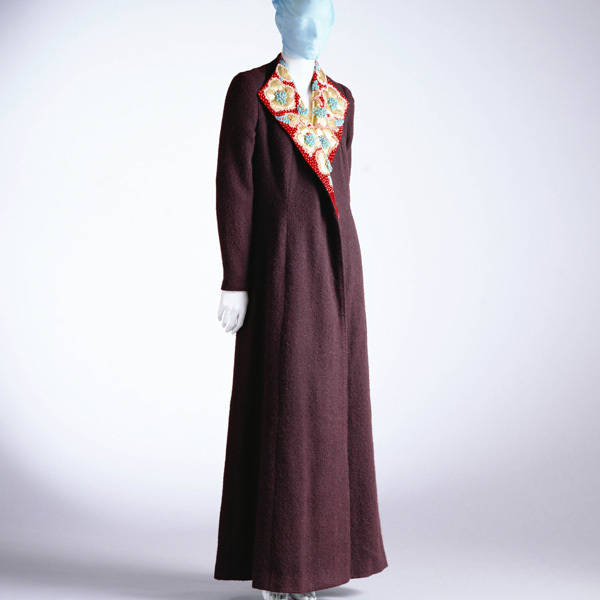 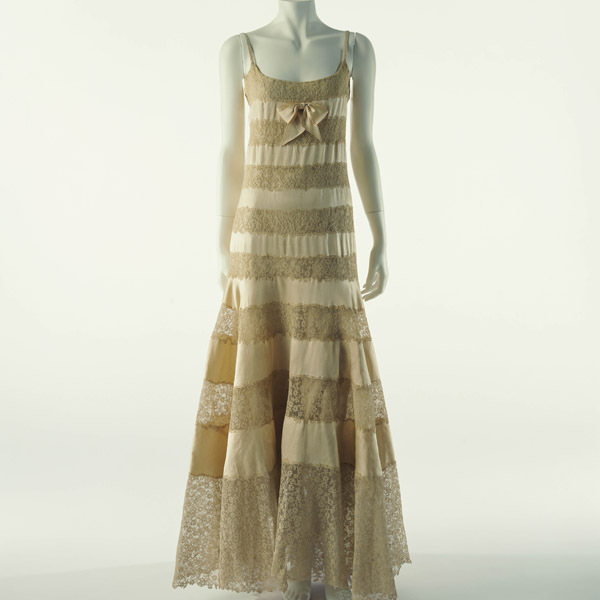 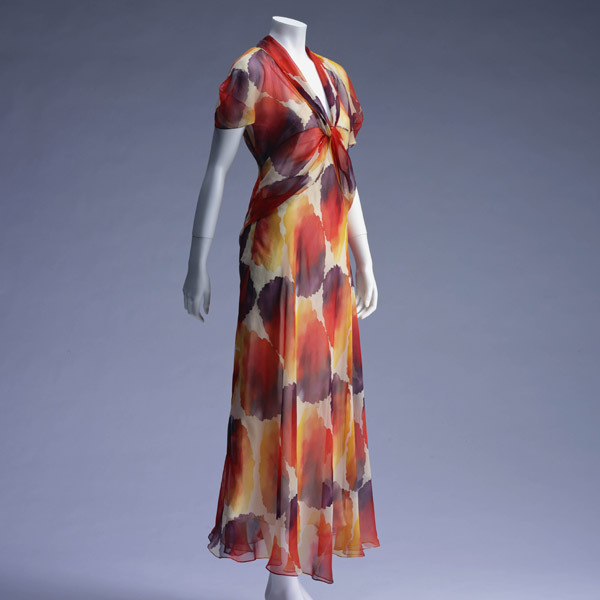 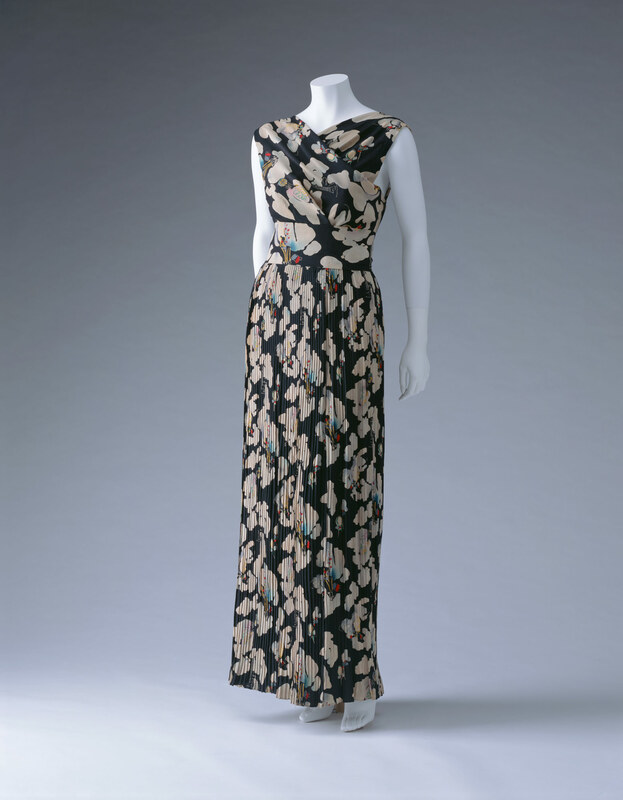 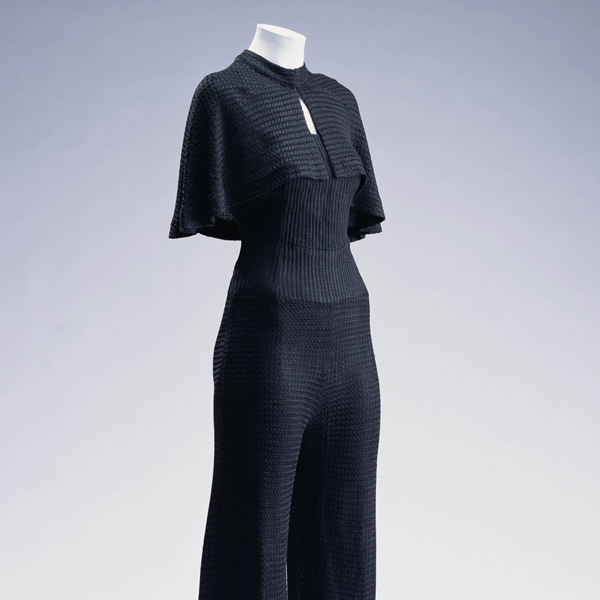 Print dresses, a trend in the 1930s, became pop and unique in the hands of Schiaparelli. 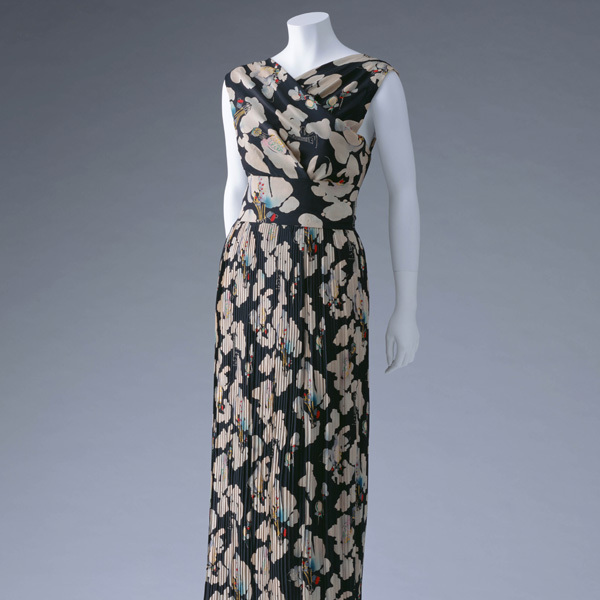 The print was possibly designed by a popular illustrator, Marcel Vertès. 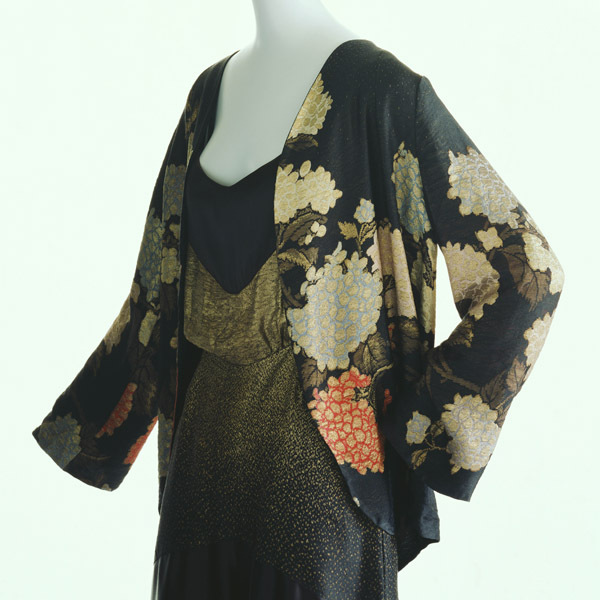 There is a column motif with her logotype in the print design. 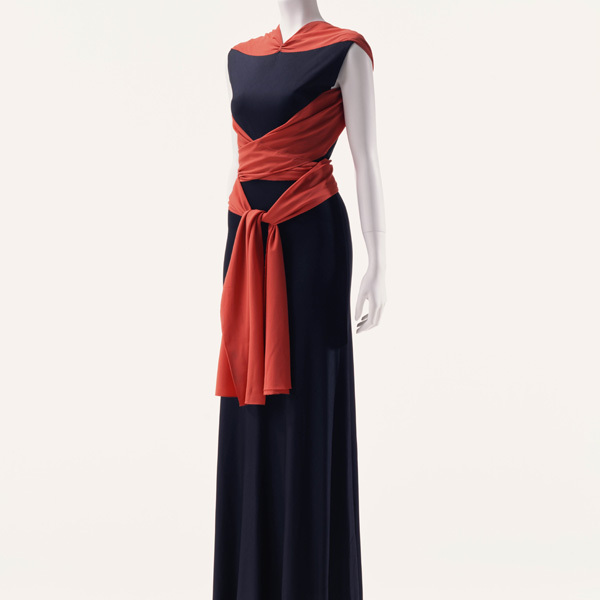 The column motif is a symbol of the Place Vendôme, where Schiaparelli's "maison" was located, and appeared in the advertisement for her perfume illustrated by Vertès. 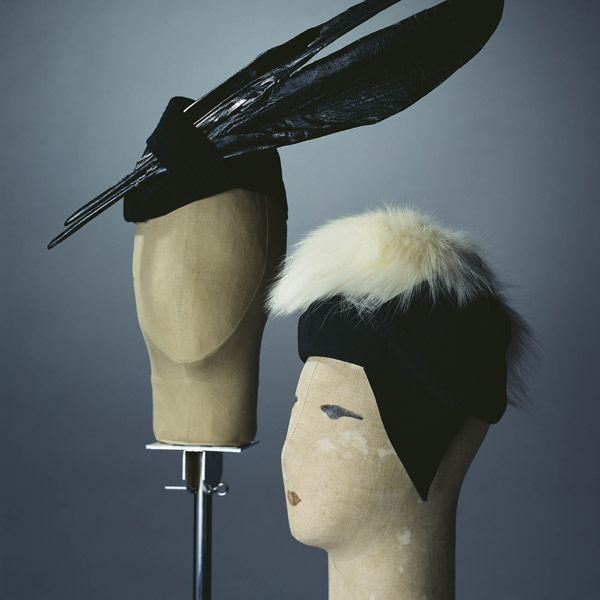 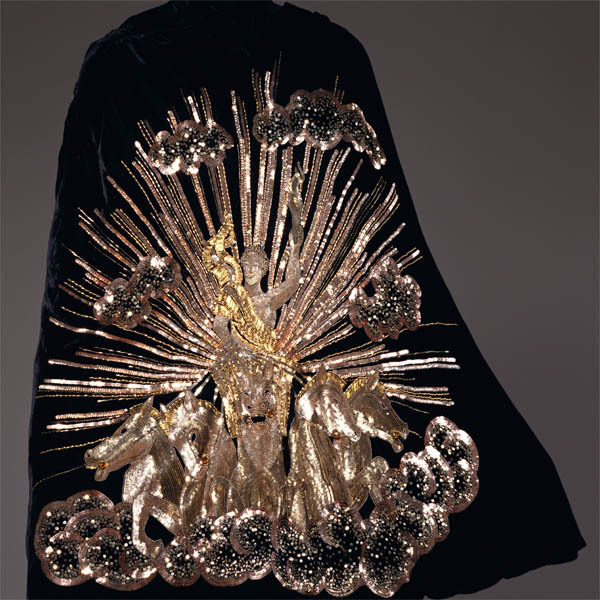 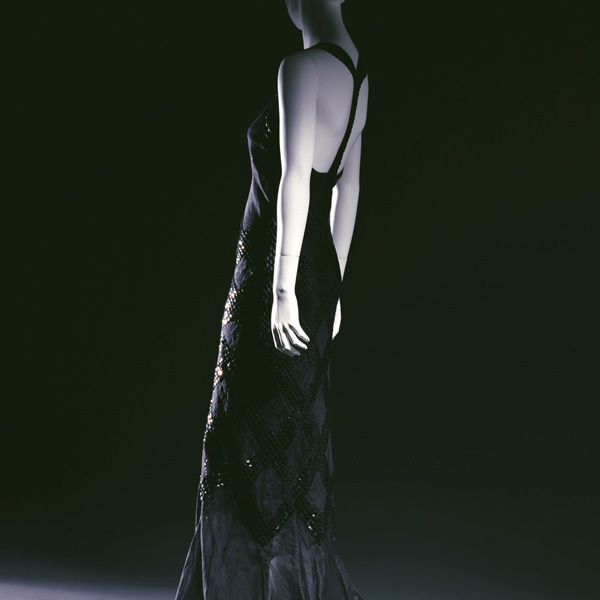 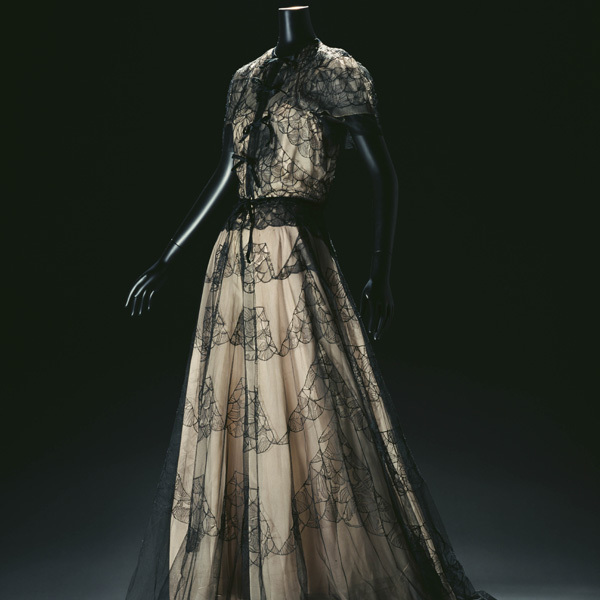 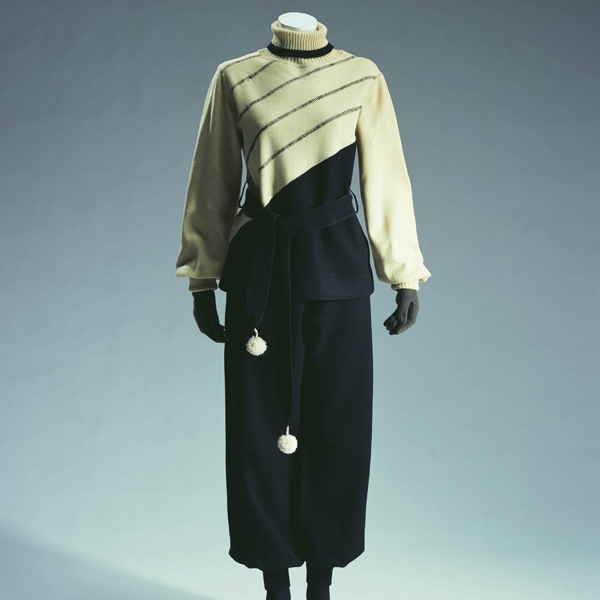 As artists were challenged to employ usual scenes and utilitarian objects in everyday life as their main subject, Schiaparelli brought such objects to "haute couture", where dignity and elegance had been considered important.